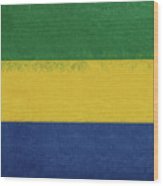 There are no comments for Flag Of Gabon Grunge.. Click here to post the first comment. 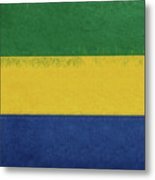 Flag of Gabon Grunge by Roy Pedersen. www.roypedersenphotography.com Gabon is located in continental Africa. 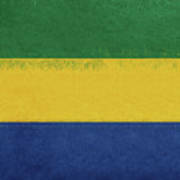 Gabon has 3 neighbouring countries. The total length of land borders of Gabon is 1,585 mi/ 2,551 km. Gabon border neighbours and border lengths are: Cameroon: 298 km, Republic of the Congo: 1,903 km and Equatorial Guinea: 350 km. 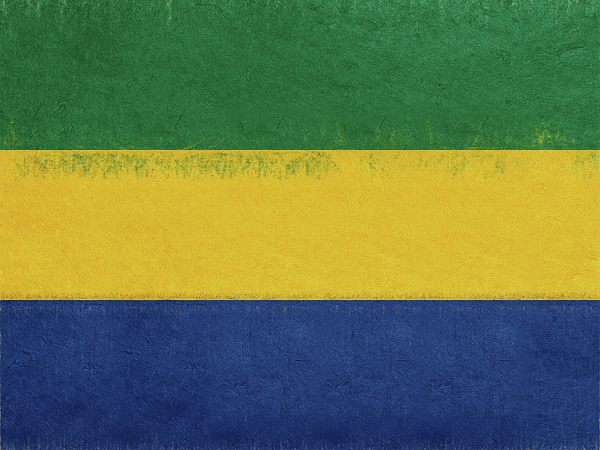 1,802,278 people are living in Gabon, a country stretching over 103,347 sq mi/ 267,668 sq km . The population density in Gabon is of 17 per sq mi/ 7 people per sq km. 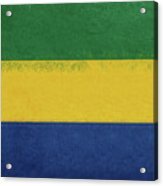 The official language of Gabon is French. The capital city of Gabon is Libreville. The currency in Gabon is the Central African CFA franc Fr (XAF).Gabon has the unique two-letter country code, GA (also Internet top-level domain), its three-letter country code is GAB.